On Oct. 12, 1913, the New York Times featured an article on "Mrs. Burnett and the Occult." 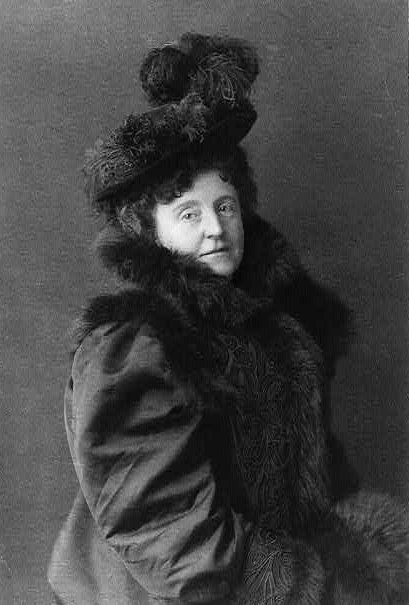 "Mrs. Burnett" was Frances Hodgson Burnett, the beloved author of Little Lord Fauntleroy (1886) and The Secret Garden (1911), among many other novels. Born in England in 1849, Frances and her family immigrated to Tennessee after the Civil War, where she began writing to support her family, and where she met and married her husband Swan M. Burnett, an aspiring eye doctor. After she became famous, she split her time between Europe and the U.S. Last month, after reading The Secret Garden to my daughter, I became interested in Burnett's religious views. As a parent, rereading classic children's literature can be rewarding, surprising, and disturbing. While the religion in The Secret Garden washed over me as a child, it caught my attention as an adult. And, despite the Britishness of her childen's novels, I found out that Burnett's religious experience was as much American as it was English. For those of you who have not read The Secret Garden, or have not read it for many years, it is the story of an orphaned girl named Mary, who moves from India to live with her rich uncle in Yorkshire (I will not go into the racial assumptions of the novel, as that is a separate and much bigger topic). She is an ugly, unlikeable, and, as a result, lonely child. While rambling around her uncle's mansion, she meets her cousin Colin, an equally unlikeable invalid. When Mary befriends him, sharing her discovery of his dead mother's locked and abandoned garden, and introducing him to the Yorkshire lad Dickon, who helps her bring the garden back to life, he decides to get well. Yes, that it where the book got interesting (at least for a religious historian). Colin embraces the power of nature, and something he calls magic, to will himself into good health. This boy, formerly on his deathbed, announces that he will live forever. The narrator informs readers that "One of the new things people began to find out in the last century was that thoughts--just mere thoughts--are as powerful as electric batteries--as good for one as sunlight is or as bad for one as poison." Colin's positive thoughts are just one aspect of his transformation. In a conversation in the garden, Colin asks Dickon's mother, Susan Sowerby, a poor but wise (of course) mother of twelve, if she believes in magic. Mrs. Sowerby answers, "I never knowed it by that name but what does th' name matter?... Th' same thing as set th' seeds swellin' an' the sun shinin' made thee a well lad an' it's th' Good Thing." She advises Colin to never stop believing in "th' Big Good Thing an' knowing' th' world's full of it--an call it what tha' likes." Colin tells her, "Suddenly I felt how different I was--how strong my arms and legs were, you know--and how I could dig and stand--and I jumped up and wanted to shout out to anything that would listen." Even the cranky gardener, who doesn't like churches or ministers, is moved by the natural, invented, and improvised worship of the children. These are some interesting religious ideas. Yet Burnett's entry in American National Biography does not discuss religion, and Notable American Women and Wikipedia only briefly note her interest in Christian Science (at one point, she employed a Christian Science healer to some success) and Spiritualism. A few studies explore her beliefs, including Jen Cadwallader's essay "The Three Veils: Death, Mourning, and the Afterlife in The Secret Garden," in Frances Hodgson Burnett's The Secret Garden; a Children's Classic at 100 (2011). * In her lifetime, Burnett discussed her views openly, expounding on her personal interpretion of assorted "New Religions." After the publication of one of her adult novels, The Dawn of a To-Morrow, a New York Times reporter tried to guess the book's message, asking her "Is it Theosophy?" 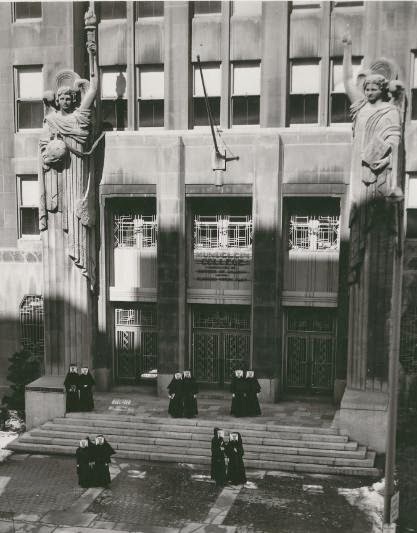 "Perhaps it is Christian Science you wish to point out in this new story?" Like Mrs. Sowerby, Burnett responded "Why give it a name; why label it with any limited creed?" In their conversation, the reporter discovers Burnett's faith in "the safety of happiness, in the wisdom of turning a bright light upon shadows so that they fade into nothingness" (New York Times, May 20, 1906). In the above-mentioned "Mrs. Burnett and the Occult," a different Times reporter described her religious philosophy as optimistic, focusing on the continued spiritual and intellectual advancement of the human race. For example, Burnett viewed the occult as a part of a "higher plane" of mental development: "The occult--the unknown (call it what you will) of to-day is the certain knowledge of to-morrow. We are on the eve of marvelous revelations. The air is surcharged with the thought of it.... The concentrated interest of millions of minds. What a vital force is there!" Like Colin in The Secret Garden, she declared her immortality: "I believe that all, everything, is possible, and I am sure that I shall live a million years, if for no other reason than that I am so interested in seeing all of these possible things come true" (New York Times, Oct. 12, 1913). Frances Hodgson Burnett believed in the potential of the mind, especially her own. She stated, "I am not a Christian Scientist, I am not an advocate of New Thought, I am not a disciple of the Yogi teaching, I am not a Buddhist, I am not a Mohammedan, I am not a follower of Confucious. Yet I am all of these things" (New York Times, Oct. 12, 1913). She crafted a religion to suit her own needs, and she constructed the rest of her life that way as well. Burnett's writing made her wealthy. She divorced her first husband in 1898, and promptly married a younger man, an actor, surgeon, and author. Her second marriage was short and unhappy. None of this scandal seemed to have any impact on her career. Burnett became a U.S. citizen in 1905, and she lived on Long Island until her death in 1924. Now that I know all this about Burnett, I'm even more glad I read The Secret Garden with my daughter (perhaps a strange reaction?). Yet even without this background, it continues to be an absorbing children's story. My daughter loved it. * The most recent biography of Burnett is by Gretchen Holbrooke Gerzina. Gerzina describes Burnett's "belief system" as "part New Thought, part Christian Science, part positive thinking, and part fairy story" (290). What a great post. When I was reading Heather Curtis's lovely work on faith cure, I kept having flashbacks to that little boy in the garden deciding to be well again. Thanks for putting that all together!